Mint is the herb that most obviously and extensively gets used in both sweet and savory dishes. It is a classic garnish for desserts, of course, adding a bright hit of color to otherwise all-brown or all-cream dishes. Even if it's most commonly used as the parsley of desserts, though, doesn't mean that its wonderful color and bright flavor don't bring a lot to the party when added to salads or used with fish. Mint is sorely underused by most home cooks. Look for mint with bright, vibrant looking leaves and fresh looking stem ends. Anything browned or dried out should be shunned. If all that's available is sad-looking mint, rethink your plans. Mint that looks dreary tastes about the same. Store mint loosely wrapped in plastic in the fridge, or like flowers, with the stem ends in a small container of water. For the longest, best storage, lay mint leaves or stems on mint on a few layers of paper towels, roll up the paper towels around the mint, and toss the whole bundle in a plastic bag in the fridge. The paper towels will absorb excess moisture from the mint, keeping in moist but not wet, and both drying out and rotting from being wet are the two things that make mint turn from fabulous to flabby in a snap. Mint is also painfully easy to grow. In fact, if you live in a temperate area, be careful where you plant it: It will spread. It will spread like nothing you've ever seen, sending runners under and around all obstacles you put in its way. Grow it in containers or know that the single mint plant you're putting in the garden could well turn your yard into a mint farm. Those with cold winters have less to worry about. 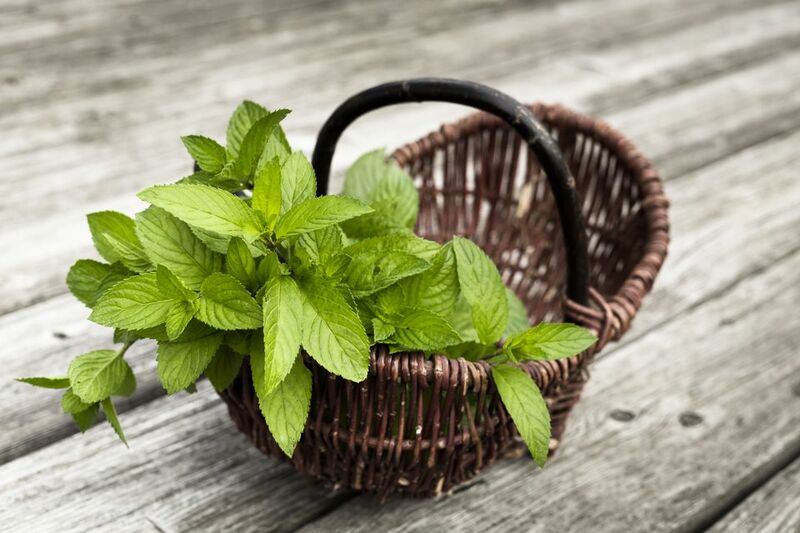 The uses for mint are vast and wonderful. Easiest is to use it as a garnish or to flavor drinks. Next up would be to add it, fresh and fabulous, to salads—just toss in chopped mint with whatever greens or lettuce you're using for a real tasty hit. If you want to get more serious, make a quick mint chutney to flavor veggies, fish, chicken, or lamb.